Lime or lemon? Jack Rose recipes seem to be schizophrenic. 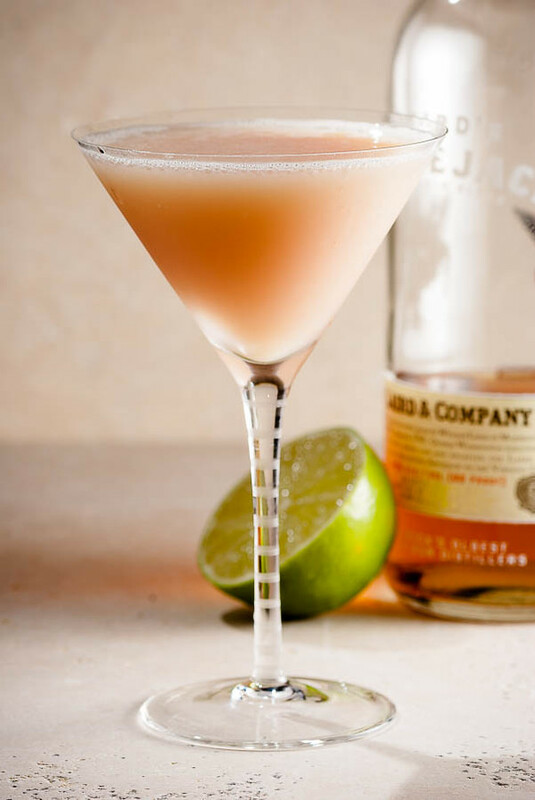 David Embury, in The Fine Art of Mixing Drinks , singles out the Jack Rose as one of his six fundamental cocktails; curiously, he then describes it at length as a Sidecar variant (he refers to the Jack Rose as a “Pink Apple Car”—that cracks me up) , and as such, makes it strictly with lemon, without even a nod towards the lime bin. The Savoy Cocktail Book is also in the lemon camp. Laird’s, the only maker of applejack in my market, provides a recipe that calls for lemon, and plenty of it. Ted Haigh, in Forgotten Cocktails , switch hits, leaving it to the mixer’s preference. Here at Cold Glass, we had such fine success with the lime version that we ran ourselves out of applejack before we thought to try lemons. Maybe next time. Shake with ice and double strain into a cold cocktail glass. Express and garnish with lime. The intriguing thing about this drink is how forgiving it is of the fruit juice; it can take quite a dose before it seems out of balance. Laird’s recipe is a 2:1 blend of applejack to lemon; their added dash of egg white may be the key to tolerating the extra juice. I think the 4:1 makes more sense, showcasing the applejack more prominently. Maybe it’s that lime v. lemon difference again. I’ve seen versions of this drink with apple brandy, and with Calvados; I haven’t tried these variations, but I suspect they make fine cocktails, and I look forward to encountering them sometime. But I’m from the school that believes the “Jack” in Jack Rose is derived from the “jack” in applejack, and I’m sticking with that ingredient as the One True Jack Rose base. “Jack Rose: Lime or Lemon?” at cold-glass.com : All text and photos © 2009–2012 Douglas M. Ford. All rights reserved. I know this is an old post, but have to tell you my wife came up with the idea of using Plymouth Gin instead of Applejack, and an ounce of lemon juice instead of the lime. So, that’s a 2 – 1 – 1/2 ratio, with the homemade grenadine there as the final ingredient. We call it a Plymouth Rose. You’ve got to try it… It’s truly incredible. It sounds bright and delicious, I like forward to giving it a try. And I like the name, Plymouth Rose. Thanks!